Android’s App store is currently facing a new dilemma as its security has been compromised once again. Researchers from security firm TrustGo have recently spotted on Google Play a bogus app that supposedly automatizes the updating of a batch of other apps. 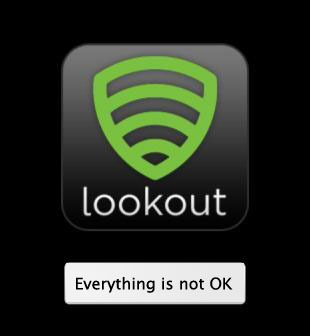 The malicious code was hidden within an app named, "Updates" by developer Good Byte Labs (Package name: com.updateszxt) and was designed to look like an update to the Lookout™ mobile security application. The malware detected as Trojan!FakeLookout.A is capable of stealing SMS and MMS messages and upload them to a remote server via FTP. This virus has the potential to steal all personal business sensitive data from the users’ device. Though there are no reports of being infected by the users, it is believed that the infected users are not aware of it yet. "New approach being attempted by malware makers," TrustGo said the site in question "contains a Trojan file that targets multiple platforms including Windows, Mac, and Unix/Linux operating systems." After the researchers notified Google, the app has been removed from Google Play. The only protection as of now is to go for good Anti-virus software. If it doesn’t help you, a factory reset of the device is advised. Be aware to have your data backup before the reset.